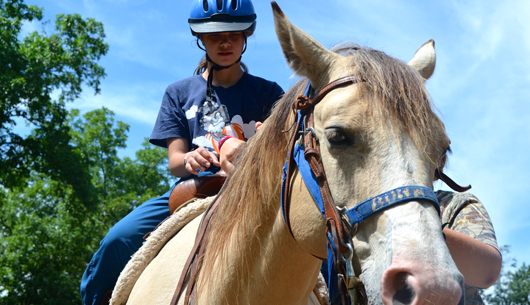 Saddle up and be a part of Camp War Eagle’s amazing horsemanship program. This course is for the beginner, as well as the most advanced, as riders will be grouped with others of similar ability level. Whatever level rider you may be, you will receive small group instruction in the Western Pleasure Riding techniqes taught in one of our riding arenas. Other skills which may be learned are how to take care of horses, the different tack used, how to saddle a horse, and more. Requires long pants and boots or shoes with heels. Come join me this summer at Camp War Eagle, check out the Horsemanship.